Fortune Cookie Soap recently, or I guess not so recently since it's been a month, offered a Star Wars inspired mini collection. I thought all of the scents sounded pretty good, so I had to get the entire set! I won't pretend that I am a huge Star Wars fan, I didn't grow up with it, so it doesn't hold a special place in my heart like it does for others, but I can appreciate it for being so well loved by many. And I figured anything that didn't work for me would make a great gift. Unfortunately, this set is no longer available. Shipping - My order shipped the next day, and arrived in 2 days via USPS 2-day Priority from Oklahoma to California. Free Samples - My order came with a small whipped cream sample from the Straight On Till Morning collection. 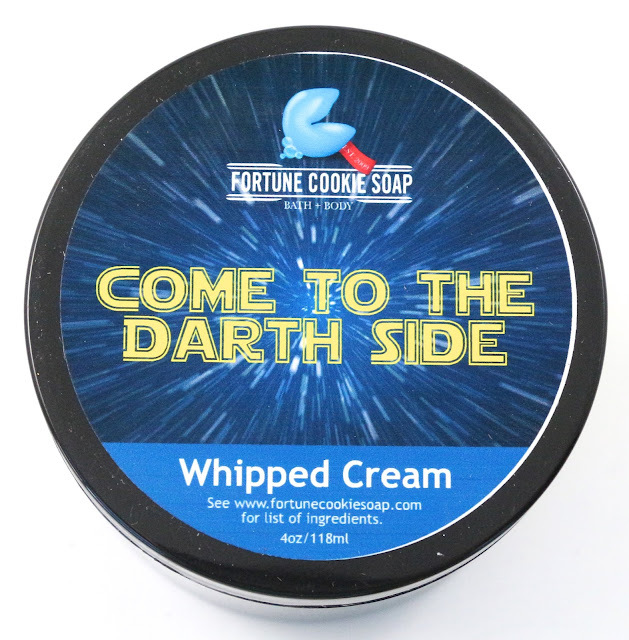 Come To The Darth Side Whipped Cream - "Crunchy, oatmeal cookies and sugary vanilla bean frosting, blended delightfully with honey and hints of almond." This smells divine, it's warm and sweet. Cookies and baked goods, I really like this scent. It's probably more suited to the cold months, as I don't know that I want to smell like cookies during the summer, but it's still really amazing smelling. Htaed Rats Bath Fizzy - "Bright, citrus blend of juicy orange and tart kumquat, tropical pineapple and green leafy vines against a backdrop of rich vanilla and exotic, dark coconut." I was really happy to see that this was separately bubble wrapped, and it didn't break in transit. That was awesome, I hope they continue to do that for bath bombs. It's very sweet and fruity, definitely more of a summer scent. Although I don't know how many people take a lot of baths during the summer, but I'm still looking forward to using this. May The Scent Be With You Perfume Oil - "Calm, salty air with hints of summer apricot and sea grass, float gently on ocean waves." It's a bit beachy, but also has a laundry detergent kind of scent. It is pretty strong though, so use lightly. I think I like it, but it's not my favorite scent of the set. Pump Up Your Saber Foaming OCD - "Wild berries, black plum nectar, sprinkled with vanilla sugar and delicate musk." This is a new kind of product for Fortune Cookie Soap, they've never done a foaming hand sanitizer. I get the berries and plums, and the sweetness of the vanilla. It's really good, and the product itself works well. I like the foaming formula. 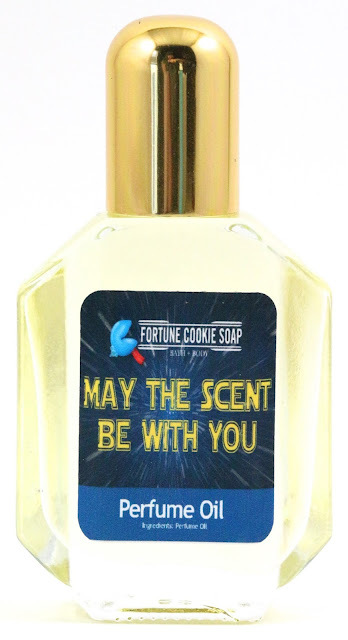 Wookie Cookie Fortune Cookie Soap - "Fresh squeezed citrus, with violets and lilies, hints of bartlett pear and a whiff of peonies. I don't know what it is with the Fortune Cookie Soap's, but to me they almost all smell the same. They smell like generic soap bars. It's ok, but probably my least favorite of the set. Overall, I really liked almost everything from this set, they're very good scents. And I liked trying the new foaming hand sanitizer, I hope that becomes a new product. I think my favorite products were the whipped cream and hand sanitizer, with the perfume following closely behind. The Wookie Cookie was a dud for me, as most of the fortune cookie soaps are. But I think this set was overall a winner for me! 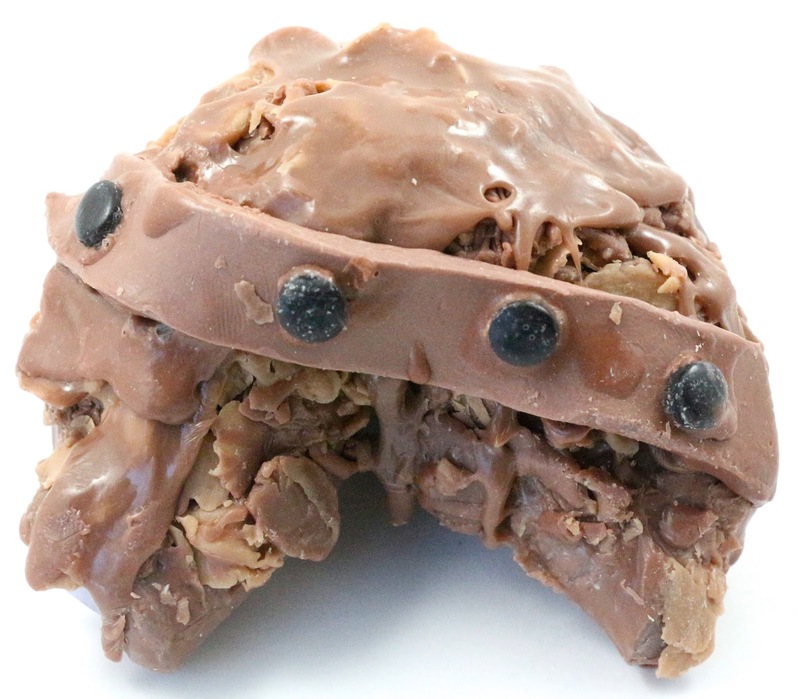 Availability - These products are no longer available, however the scents can be requested for any Create Your Own events. Overall Satisfaction - My favorite scents were Come To The Darth Side and Pump Up Your Saber, but I also enjoyed May The Scent Be With You. 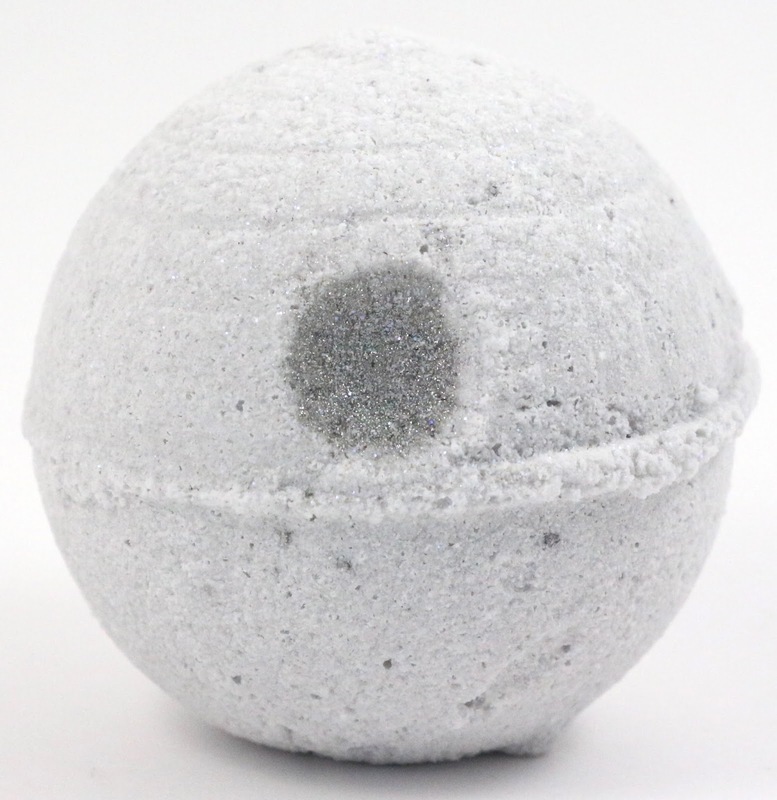 What did you think of the Fortune Cookie Soap May the 4th Be With You Mini Set? Let me know in the comments!